The American College of Osteopathic Family Physicians (ACOFP) is pleased to announce that W. Joshua Cox, DO, FACOFP has been named the ACOFP 2019 Educator of the Year. Dr. Cox is the Associate Dean of Clinical Education and Professor of Family Medicine at Kansas City University – College of Osteopathic Medicine (KCU-COM). 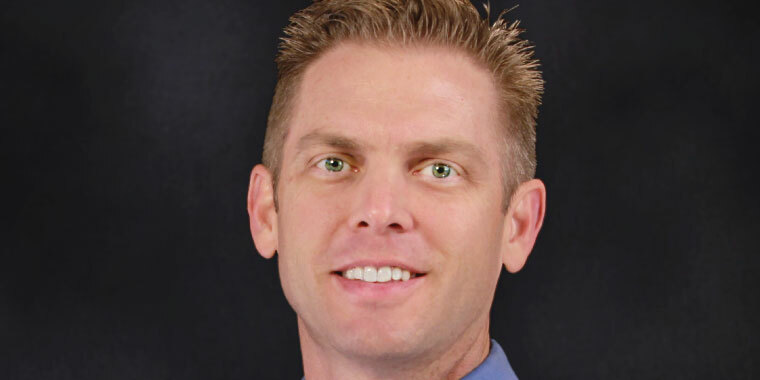 He is board certified in family medicine and osteopathic manipulation therapy (OMT) and is a Fellow of the ACOFP. He graduated from KCU-COM in 2000. Dr. Cox has extensive lecturing experience, giving over 75 invited national and regional presentations, as well as international lectures. He has been a mentor to many students and has served on a variety of committees for the ACOFP and NBOME, and previously served as a Board Member for DOCARE, International NFP, MSACOPF and the KC Regional Osteopathic Medical Association. He is also a national faculty member of the AAFP and NBOME. Throughout his career, Dr. Cox has worked to spread the knowledge of osteopathic medicine on a global level through participation in numerous global health outreach trips. The ACOFP Educator of the Year Award honors an individual who exemplifies the osteopathic family medicine profession’s highest standards of excellence in teaching and has made significant, commendable and long-standing contributions to the academic advancement of osteopathic students, residents and the osteopathic profession. Nominations are solicited from colleges of osteopathic medicine and residency programs, with the final selection made by the Board of Governors.